The opinion of many people today is that tanks are obsolete, losing their survivability to modern man-portable ATGMs and precision guided munitions. What must be understood is that main battle tanks are the play-ground bullies of ground warfare, they are big, intimidating, and sound of a 120mm cannon thundering across a valley saps the enemy’s moral like little else. The effectiveness of such large, high velocity cannons is well known and the concept of the “tank” in general will likely never be phased out – only improved. During the Second World War, tanks were primarily used as infantry support and tank-on-tank battles where rare. The large majority of tank casualties were caused by anti-tank cannons. During the Yom Kippur war of 1973, the Israelis faced a barrage of Soviet AT-3 “Sagger” ATGMs of which they were simply not prepared for, causing mass panic amongst tankers. Several extractions from the CIA’s report entitled “The 1973 Arab-Israeli War: Overview and Analysis of the Conflict” outline the alarm these missile caused, however, it is important to read until the end. The Israelis focused fire on exposed ATGM teams, and seldom moved mechanisation anywhere without cover of indirect fire. ATGM teams must not operate without being transported in a vehicle with at very least protection against shrapnel. Granted, Saggers were first generation MCLOS guided missiles that were incredibly difficult to control. Modern ATGMs are far more advanced, however they are exceptionally more expensive. A Sagger will cost a military under $1000 per unit, whereas a modern “Javelin” ATGM can costs upwards of $100,000. MBTs are, and will continue to be a staple on the battlefield, although they are not without drawbacks. The M1 Abram’s cost is sky rocketing, and at 70 tons, it is quickly bogged down, not easy to air transport, lumbering and fuel hungry. There is no standard definition for a “light” tank, so for the sake of this piece we will define it as the following: A tank of no more than 20 tons, capable of air transport by C-130 with an operational range similar or greater than that of an MBT. Light tanks are not a replacement for main battle tanks, to paraphrase Picard; light tanks exploit the breakthroughs of MBTs. Unlike their heavier brother’s, the light tank should have anti-tank capabilities as a secondary priority, it is first and foremost an infantry support vehicle and due to its often extremely light armour, should seldom go toe-to-toe with anything carrying more than a heavy machine gun. Perhaps a good way to think of the light tank is as a Bradley IFV, with heavier armament and no troop carriage ability. Light tanks sacrifice a great deal of armour to earn their designation, and rely on heavy sloping and other methods of armouring such as protruding ribs, which have been seen on both the BMP-2 and STRV-103 of Sweden. The Swedes found that their STRV-103 was essentially impossible to penetrate with any then existing anti-tank weapon during it’s early operational history. Front upper glacis: Sloped at 15 degrees, fitted with protruding ribs, protection from 30mm armour piercing. Front Lower Glacis: Sloped at 50 degrees, protection from 30mm armour piercing. Sides: Sloped at 75 degrees, protection from 14.5mm armour piercing. Engine will be a V8 diesel, optimally the same Scania DSA 14 litre version used by the CV-90. This should give the vehicle a maximum speed on-road in the vicinity of 80km/h (50 mp/h), and an operational range of ~400km (250 miles). Extra fuel will be carried in external tanks that can be dropped when empty or if there is a danger of puncture, similar to that of Soviet tank designs. A recess may be designed into the rear of the vehicle to allow some amount of armouring, however a better idea may be to design the external fuel tanks with some amount of shrapnel protection. These tanks may not be mounted during operations within close proximity of friendly infantry so as to avoid. A heavy main battle tank has the luxury of being able to mount heavy, powerful, high velocity cannons – something a light tank may not be able to achieve, if we examine the use of large guns on light vehicles we can see that the results are very rarely acceptable. Both the Sprut-SD (125mm HV cannon) and the US M551 (Medium velocity 152mm cannon) had recoil issues, this resulted in much discomfort from the crew, difficulty when firing on the move and in a lot of cases, the turret ring being bent irreparably (especially when using aluminium armour). From this, we can gather that the best light tank armament will be either: a high velocity small shell, or a low velocity large shell. A small HV shell (i.e. 60mm HVMS) results in a smaller capacity for HE, and lacks the heavy APSFDS rod to penetrate heavy armour. The velocity of a 120mm APSFDS may be achieved, however the dart will not have sufficient kinetic energy due to its low weight. The lower velocity allows us to utilise a larger diameter shell, making the HEAT charge more effective. Where a 60mm HVMS APSFDS rod will not penetrate a modern MBT, a 120mm HEAT charge has at least a fighting chance – especially against the sides, rear and top. The lower velocity and lack of rifling (shells should be fin stabilised) mean that we can fit far more HE into the same area – note that a 120mm mortar shell has similar, if not more destructive power then a 155mm artillery shell. In my opinion, the best armament for this light tank would be a large diameter, breech loaded, low velocity gun/mortar – we will use a 120mm diameter gun for this project due to logistics ease (120mm shells are already in use), however the optimal diameter would be slightly larger (130-140mm). Parallels can be drawn to the aforementioned M551 “Sheridan”, however there are numerous deviances from the design. With sufficient propellant, a mortar shell can (and will be) used for direct fire. The main reason for the addition of LV cannon shells is for using flechette shells, however this may not be necessary if a 120mm shell is developed along the lines of the 81mm Mk-120 mortar (below) used on Mk-2 Mod 0 deck mounted mortars during Vietnam. Should the LV cannon shell provide no sizeable benefit over direct fire mortar techniques, it should be deleted. Alongside direct fire, the mortar will also be fired in the conventional indirect fire roll, this will prove very valuable when supporting armour advancements as the constant shelling of the advancement location will thin out any resistance before it becomes a problem, the persistence of mobile mortar-tanks will be a massive improvement over towed artillery, with its shoot-and-scoot speed, counter-battery radar will be rendered useless. The Swedish laser guided “STRIX” shell (above) will allow the vehicle to shine in the anti-tank role. For this to be its most effective, it will be coupled with a collapsible sensor mast (example below) mounting cameras and a laser designator. From behind cover, the vehicle will extend its sensor mast and paint the target of choice, the gunner will then fire a STRIX over the target, impacting directly downwards onto the target (where a tank’s armour is thin). This tactic will allow the vehicle to expose nothing but the tip of its sensor mast, and without the need for an engine the STRIX takes up far less space than a conventional ATGM. The main limitation is obviously the lack of direct fire capabilities; this will be solved by carrying 2-3 LAHAT missiles alongside. This heavy cannon will be supplemented by a co-axial 40mm CTA cannon firing cased telescoping 40mm rounds. The cannon should be modified to select between 200RPM for ground targets, and >800RPM for aerial targets. The necessary elevation of the mortar means that we have an excellent platform for a “pseudo-SPAAG”. Inside the turret will be a tri-feed system for HE, APSFDs and Air-burst with an optimal capacity upwards of 100 rounds. A light tank can be produced in larger numbers, and the flexibility of deployment is fantastic. The US lost a great advantage when they retired the M551 and cancelled the M8 Buford that cannot be measured, a solution will be extremely easy to engineer and my proposal has many aspects that can be replaced by already existing equipment to lesser, but still good effect (i.e. the new chassis may be replaced by a cut-down M113 or a Bradley). To make use of airborne and expeditionary forces in the future, the light tank has to be explored – there is no alternative. This entry was posted on February 20, 2017 at 11:46 pm	and is filed under proposals. You can follow any responses to this entry through the RSS 2.0 feed. You can leave a response, or trackback from your own site. I like the idea and especially like the low profile of the vehicle. I guess I’m haunted by the M4 Sherman’s low velocity 75mm gun. If a recoilless rifle could fire a Strix shell that might give a direct fire capability that way equip some of the tanks with the rifle and some with the mortar and create a balanced unit. Interesting point, it would have to have some form of propellant behind, wether or not a standard RCLR case would work, I can’t say. Which makes me think wether or not a recoilless rifle firing scalable propellent ammunition could work – like the rings on a mortar. Cuban tanks . secondly the 120mm mortars that did hit the RSA Oliphant tanks Centurions did little damage to the top sides . The sandf concluded that they needed a high velocity 76mm gun that resulted in the Rooikat 8×8 armoured car. some of which have subsequently for trial purposes been equipped with 105 mm gun asin the Italian Centario and Japanes developments ,and the Italians are wanting to go to 120 mm on the centario. HEAT projectiles are only improving as time goes by, regarding the 120mm used against Oliphants, I imagine they were standard HE shells? If the LV HEAT rounds prove ineffective against tanks more LAHAT and STRIX missile could be carrier, with the possibility of mount 2-4 recoilless rifles on the turret. Thanks for the comment! I am pro-light tank. This could even be Picard’s light tank for the ground vehicles list. I think that this should share a common chassis with a hypothetical light APC chassis as well. Perhaps a light turretless assault gun or “light Stug” could also be made. If additional protection is needed, the ability to mount explosive reactive armor might be helpful at the expense of weight. Another option for self-defense is something similar to the Israeli Trophy system, for taking on ATGMs and RPGs. I wonder if there is any way to widen the tracks on your tank. How much pressure (kg per cm^2) does this tank extend on the ground? During WW2, the Germans used track extenders (Ostketten) to reduce ground pressure. Although time consuming to put on, they did allow tanks to go into places with soft soil where a larger tank would get stuck. Wide tracks work best. Northern nations often use vehicles with wide pressure like the Bandvagn 206. The Russians have a bigger vehicle called the Vityaz, which shares the same principles. They are sometimes used in the civilian world for oil exploration. The low caliber high speed versus high caliber lower speed is an interesting trade-off. One advantage for the lower caliber higher velocity is that more rounds can be carried onboard. Wider tracks are definitely needed, what I’ve modelled there is no real good representation of how wide the tracks are. Typically an APC chassis would have a front mounted engine, low frontal sloping, and a high profile – a dedicated chassis like I have proposed (or what the British did with the FV-101) will offer better protection. On the other hand, an APC chassis would offer more room for ammunition. At one point I proposed a 105mm M113 “StuG” as a force’s main light tanks, however there are major disadvantages in MOUT and in situations where MBTs can’t support them in offences operations. Definitely, the pictures I’ve added are of the vehicle with no appliqué or skirts just for viewing’s sake. The amount of armour possible to mount will depend on the dimensions and loading of aircraft for airborne operations. A level system such as the M8 had would likely be used. Also yes, active protection systems would be used. Very nice proposal! This design would really compliment MBTs. As such, I would like to offer a suggestion that might be worthy of your attention: the use of CMI’s CT-CV 105HP gun/turret system that can fire all NATO 105mm shells for direct attack,fire the Falarick ATGM, and also serves as a 10km range artillery. On top, it can be added with RSTA sensors as per mentioned. The CT-CV is said to be lightweight. CMI also now has the XC8 120mm gun/turret system that can do all of the above but with a more powerful gun. Just my cent. Yes! The main idea is for the light tanks to hang back and fire HE indirectly in front of moving MBT columns to thin out any obstacles (dismounted ATGM teams, light armoured vehicles etc. ), and also heavy armour using STRIX rounds. I quite like that cannon idea, I did play around with high velocity cannons before deciding on a mortar. Any idea what the elevation on that turret is? The issue I had with a gun over a mortar is that a mortar has the ability to scale it’s propellant so the shells can be “lobed” over a hill at very short range. To that, a mortar offers a better demolition/support system simply because it can carry far more HE than cannons of the same caliber. In favour of a HV cannon is that it would have an easier time dealing with aerial targets like attack helicopters, which is why I decided to put on the co-axial 30mm. CMI stated that its CT-CV 105 gun can fire indirectly up to 10kms at +42° elevation. BTW, isn’t puttinng another 40mm CTA in tandem with the main armament requires more time and money for its development? Although its a doable configuration, I’m quite certain shell storage capacities would be compromised, unless the turret is enlarged. And that gives a problem in weight. But yes, the Amos or Nemo mortar would he good. However, a better direct fire on top of howitzer and ATGM fire capabilities would be much better. 42° is quite good, although for indirect fire an 89° maximum will always be preferable. Yes the CTA cannon will add some complexity but current British trials are quite promising, and the ammunition footprint is better than standard cannon ammunition – whilst offering more firepower. I mention a 200 round capacity, which is not a huge amount but it should definitely fit inside the turret. I explored having a saboted shell fired from the cannon to get some half-decent velocity but the round would be quite large (about the size of a 200 rounds 40mm CTA drum), and it wouldn’t be all that useful against heavy armour, only really for anti-helicopter use. There will definitely be mounting options for Hydra-70 pods (and hopefully CKEM) on the outside of the turret. Firstle, thinking of a European theatre, I would be to make it narrower. European roads (other than historic town centres) are designed to handle vehicles that are no more than 2,55 m wide. Staying within that limit should make things easier in MOUT (i.e. not worrying about getting stuck between buildings, trees, etc.). Also, making the design fit in a 20′ container (max. 5,867 m long, 2,343 m wide, 2,280 m high and 28200 kg heavy) without ETA, should greatly improve logistics and strategic mobility. Another suggestion would be to use a diesel-electric transmission. It is a proven and reliable technology used in all kinds of vehicles, and if 1 electric traction motor is used per track it could greatly simplify the powertrain layout and improve reliability. The immediate torque would also improve tactical mobility. The diesel engine/generator could be made smaller and kept running at optimal load to reduce fuel consumption and the overall volume, which could render external fuel tanks unnecessary, improving survivability. The diesel generator could also be easily designed into a self-contained, swappable plug and play unit, with fuel tanks, cooling and control systems all in one box, simplifying field maintenance and future updates. The same generator unit could also be used in other vehicles and to power bases and airfields, lowering individual unit costs. Future updates like battery electric and fuel cell electric powertrains could also be implemented easily, lowering IR signature and increasing survivability. Lastly, a third coaxial HMG might be useful in MOUT. An active protection system like Trophy or AMAP-ADS might also be a useful future update once passive IR threat detection becomes viable and proven. I’ve tried to make it as compact as possible, any skinnier and the crew will have to sit in-line rather than side-by-side unfortunately, also the tracks really should be wider than they are at the moment. I’m not sure if I will post it but I have a concept for a very small (slightly smaller than the German Weisel) vehicle operated by two men for MOUT and be transportable by Chinook. Diesel electric is a good idea, finding the space may be an issue. A lot of what you are proposing sounds like something Phil West of the Scrapboard would suggest. The chief issue with LV guns is time of travel, at max range travel time will be 57 seconds, at direct fire ranges the travel time is 7 seconds. It doesn’t seem significant, but theres a lot an enemy can do in 7 seconds if its moving at 10-20m/s. Other rarely mentioned problems are that larger caliber shells are more difficult to carry enough of safely, maybe ten to twenty shells in a specially armored pod if you value your crew. Every BMP crewmember learned that the hard way when the volatile 100mm shells cooked their buddies. Not to mention that slow projectiles will get chewed up by APS, or that ERA reduces HEAT effects significantly…. I think both the 40mm and 120mm guns could be replaced with 90mm gun. 90mm KEW can already penetrate the sides of any modern battle tank, and a 90mm shell carries enough HE to be useful in the anti insurgency role. Commonality isnt an issue if 5,000 of these light tanks are purchased. If you really want HEAT, 90mm has a few effective shaped charge warheads. Look into modern 90mm cannons and ammo, will you? A 90mm cannon lacks the indirect fire that I want, and the possibility to use ATGWs with sufficient warhead diameter. I have plans to write out a proposal for a 76mm-armed light tank currently in the works, which will utilise a round similar to ARES’ 75mm CTA round, which had a claimed penetration similar to that of a 105mm APDS. A 76mm cannon is going to have a higher ROF, a lower recoil, higher possible elevation and more room for ammunition. I’m interested to know exactly which 90mm round you are referring to, and hopefully a source on that penetration capabilities of said round. Thanks for the comment, great suggestion. What happened to the post about the bigger CAS aircraft? -More firepower stored on board? The ability to fly a few miles beyond enemy lines for tactical interdiction, combined with the irreplaceable reconnaissance makes the CAS plane truly required. On top of that, it’s far more survivable through it’s mobility and is effectively indestructable by enemy tanks. Finally, it’s just simply better at destroying most things, and is actually capable of killing MBT’s depending on loadout. It’s main drawback is just that it can only be there for the boys 2-7 hours of the day, although I wonder if that truly matters, with multiple aircraft, in realistic situations. I hope I’m forgetting a few things. On a per unit basis the CAS plane seems far more effective, although that could be somewhat countered by the drastically lower unit procurement costs (500k vs 2-5 mil). I’d need to see the operating costs, and I’m not saying there’s no point for light tanks/assault guns since they have benefits. I just have leaned my thinking towards allocating a far, far higher budget to CAS than light armour. Pretty neat and a modern version is kind of like the heavy CAS you proposed. Speaking of which, did the heavy CAS post go somewhere? Wow, that design would be excellent for my FAC aircraft, as it would allow it to double even better as a light CAS aircraft. No idea about heavy CAS fighter. What I’m surprised by is the fact that the USSR never tried to design a successor during the cold war. The closest of course is the Su-25. I’m not. Russians are not immune to folly any more than anyone else. I’m not entirely sure I agree with Riley here and his light tank proposal. Myself, I was actually thinking of taking things in a very different direction with regards to the gun. 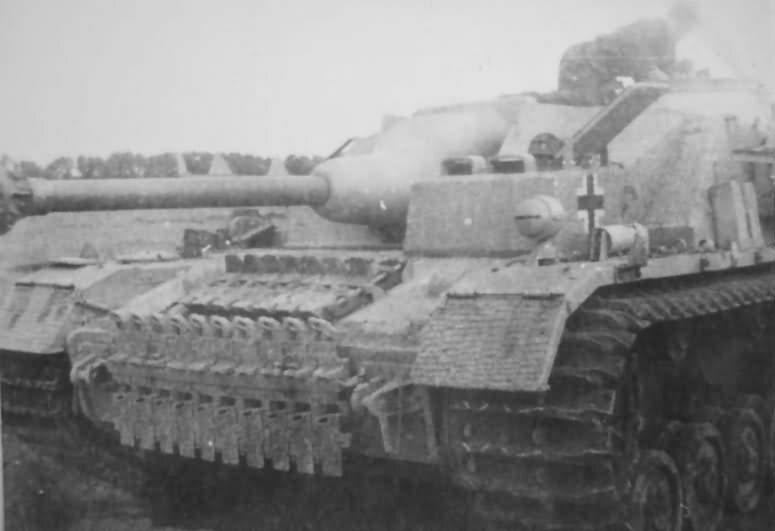 Before I get into that, it should be pointed out that the guns on the tanks the Germans had for their invasion of France were the 37mm early gun on the Panzer III, and the very low velocity 75mm on the Panzer IV. I haven’t gotten myself entirely up to date with the respective guns on the other tanks of the era, but I believe they were in roughly the same ballpark. I bring this up because these guns proved their worth on the battlefield many times over, and I think there’s a tendency to overgun the tank. In my opinion a light tank simply should never be asked to duel with a heavy tank, so when we take away Defeating Heavy Armour from our list of objectives for the gun, I think we’re starting in much more productive and interesting territory. My Light Tank Proposal starts off with the role of the tank being to bully everything EXCEPT heavy tanks. Additionally, the line between SPAAG and light tank is a tad blurry, since SPAAG’s can and are used against ground targets. So having said all that, what specifically are the roles that the gun on a tank this size are meant to do? In order to pick the correct gun, we need to figure out which of these roles are the most important to us. In my opinion we can go two different routes here. At this point I’m not really sure what the purpose of extremely large guns really is. The increase in tank gun size has stemmed entirely (to my knowledge) from trying to defeat heavy armour. I’m not aware of soldiers being unsatisfied with the performance of 75mm guns against infantry, or bunkers, or trucks, or walls/trees/others. It’s not like soldiers have thicker skin nowadays, and if the 37mm gun did them in way back when (not to mention the 30mm in a CAS role, although that’s different), it’s hard to imagine them enjoying a 75mm frag round coming there way. Besides, we’re trying to injure or kill the enemy combatants, not delete them from the universe with a 125mm gun. For the vehicles, the MBT’s have increased massively in armour, and basically nothing else has followed. A 75mm gun will happily tear through an M113, or Stryker, or Bradley, to say nothing of a totally unarmoured supply truck. Obviously a bigger HE or HESH round is desired when clearing obstacles, but that’s what multiple 75mm shots are for. Any makeshift cover/bunkers that infantry erect will be destroyed by a 75mm gun, as well as concrete cover. Again, we’re not trying to delete them from the universe. With regards to AAA, a specific HE-FRAG Proximity Fuzed round would need to be developed for any value to come in the AAA role, as well as a turret designed for increased elevation, both are possible but might be skipped. Finally, the benefits of a smaller caliber gun in and of themselves are: increased ammunition, increased accuracy, increased velocity, increased ability to fire on the move, and since the smaller 75mm gun is effectively just as good against the threats the tank is designed to deal with, the benefits are essentially free. 1) Build a traditional light tank with a 75mm main gun, 4 man crew. Then either give it a side machine gun of a higher caliber than normal (such as 20mm) for some light AAA role, or just design a whole new SPAAG vehicle alongside it. 2) Combine the Light Tank and SPAAG into one vehicle. In that case, I would go with a 3 man crew, and something similar to the bofors 57mm autocannon. The tank would need great elevation, so some sacrifices would need to be made. Additionally, the 57mm gun doesn’t pack the punch of a 75mm gun, and since it’s autoloaded, while you can program the fuzes on the fly, you are stuck with the same essentially APHE-FRAG ammunition for each round. That means that the tank would be objectively worse at the top four roles, although how much I do not know. Personally, I would love to go with option 1, but I think there’s a possibility here for a smaller country to go with option 2, and get a tremendous amount of value out of a somewhat compromised vehicle. The solution may be to build 2 light tanks that share a chassis. A real life example of how this might work is the Flakpanzer Gepard and the Leopard 1. The Otomatic firing OTO Melara 76mm could function both as SPAAG and light anti-tank gun. It failed to sell despite simplification of the system down to purely electro-optical gun laying and electronic upgrades that significantly reduced turret weight. SPAAGs that try to work as SPGs also suffer from the question of “whose command is it anyway?”. Does it go under the command of the air defense network? Or does it follow the armoured spearhead and provide force protection as part of a mechanised command? 76mm Oto Melara also suffers from ammunition size. Even with the ludicrously tall turret only 70 rounds could be carried. For a gun that can fire up to 120 rounds per minute, that is just over 30 seconds of fire. Either your targeting systems are so precise as to guarantee a hit within 3-4 shells in battlefield conditions, or you’ll need a separate vehicle that ferries ammunition to it. Now, refinements in the concept could improve its viability, especially on the side of electronics and unmanned turrets. EO and IRST systems have come down significantly in cost and size over the years, while networked IADS development has accelerated, especially in the West where datalink development has proceeded apace. Personally I think that an Otomatic successor should be used ideally as force protection and be devoid of IADS integration. Gun-based AAA can no longer be trusted to down fast air, but the proliferation of drones and cargo munitions – as amply demonstrated in the Ukrainian conflict – drive a real need for armoured columns to counter incoming rocket artillery and kill drones. But if you’re focusing on that, it would be better to use 34x137mm (25mm Bushmaster necked up to its case head diameter) or 35x228mm fired from a Millenium Gun because the ammunition is so much smaller that you can carry more. I’m not sure how much the ARES 75mm CT ammo shrank the footprint of medium caliber ammo but given that CT ammo trades ammo length for ammo width I have my doubts as to how much miniaturisation is possible. Especially if you want dual feed for programmed airburst HE and APDS. The absolute largest I think a dual-purpose gun can go in a land based application is 57mm. 57mm is large enough to defeat any non-MBT from the front, packs just enough HE to be useful after the addition of programmed airburst fuzes, and just small enough to fit sufficient rounds for a 24 hour operation. The drive towards large caliber HV ammunition like 76mm or 90mm or 105mm or even 40mm CT is a fool’s errand. Cockerill may well claim up to more than 45 degrees of elevation for its 105mm turret but if you are putting light tanks into city streets where they will be prey against infantry you won’t have a light tank there for for long. If you want to train a crew to play artillerymen with super-elevation then you had better also give substantial room to electronics for positioning and surveying for accurate gun-laying as well as receiving fire orders with a networked battlespace management system. If you want super-elevation to kill helicopters you would be wasting time training crews to fight pop up targets with vehicle vision blocks and sights with a soda-straw field of view. At most – and this is being extremely generous, the autocannon in Riley Amos’s proposal should use ammunition with a case head no larger than 25mm Bushmaster. This could be 25mm Bushmaster or it could be the necked up 34×137. Any larger imposes stiff penalties in stored kills and turret weight and volume. I have severe doubts that Riley has thought much about how quickly turret weights spiral. The recoil dampeners, sights, electronics, radios and armour as well as a manned turret quickly turn a “light” 5 ton turret into 8-10 tons. And all this before armour plating. Add armour and I doubt you could go any lighter than 10 tons. The very wide mantlet and superelevation demands significant volume, which drives size, which drives surface area upwards. All adding up to increased weight. The LockMart CT40 turret is already 3.8 tons and armoured only up to NATO level 4 – resistant only to 14.5mm Russian. – Going for a fully unmanned turret at the risk of easier mission kills and a carousel autoloader. The result would be similar to a BMPT version of the T-14 Armata, but thin skinned. – Going for a larger manned turret with bustle. This would make it similar to AMOS, and probably just as expensive. The issues I see are that the large turret is likely to provide a large silhouette for the tank. That could be a substantial drawback in war, as I would imagine this SPAAG is not as heavily armored as say, an MBT. I agree that it is likely going to have to be under 35mm in terms of ammo or else the capacity might turn out to be a very significant constraint. The big issue here is that ammo is needed to sustain a very heavy amount of fire, against targets – low flying fixed wing aircraft, enemy helicopters, drones, and possibly enemy cruise missiles. It may also be used in an anti-ground role against infantry and light vehicles (the high velocity shells will penetrate many light vehicles). The end result may very well end up being similar to the 2K22 Tunguska or Gepard. Great comments by MonMalthaus and Altandmain. Personally, I was wondering myself, since I posted the comment, as to whether SPAAG’s are even that great of an idea. The purpose of a SPAAG has to be destroying enemy aircraft, but I question how easily that can be done by the crew inside something like a Shilka or Tungusta or Gepard. It may well be that a towed anti aircraft gun is just a better overall weapon, for the cost and logistics that is. It also has the benefit of being much easier to disguise. Now there’s no question that a towed gun is, for practical reasons, not going to be as great in an offensive role. As Altandmain said, you can use a 35mm APFSDS shooting revolver cannon to do some work against a lot of different targets on the ground. In fact, I really question how well a MBT will hold up to a bunch of 1600m/s 35mm rounds hitting it, considering how multiple Abrams were disabled by friendly 25mm fire from Bradleys. In that respect, a SPAAG makes a lot of sense, ironically as an anti-armour vehicle, that also has some utility against enemy aircraft. I guess it all comes down to the effectiveness of the SPAAG in its intended AA role when the crew are inside of an armoured turret, as in the Shilka, Tunguska, Gepard. If we have to use some creative solutions, such as having an open top, or a plexiglass top, or possibly having something like a one man rotating turret with a raised seat, then the SPAAG gets a lot less attractive in an offensive role. Of course, this is war, and if the M18 Hellcat had an open top and was very effective, then so too could our SPAAG. Provided that we utilize it as a sort of mobile reserve and are aware of its limitations. AAA has proven its value over and over again. A really great and modern AAA gun belongs in every nations army. However, a SPAAG may not be worth the investment for all nations. I think that, if you can get good cooperation from the Air Force Bureaucracy, using fighter planes to provide anti air for offensive operations may well be the better solution. Then use towed AAA in static, defensive positions.